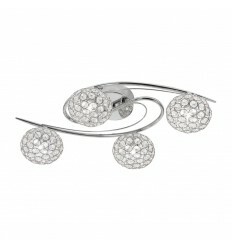 Eva Chrome 6 Light - Hegarty Lighting Ltd. 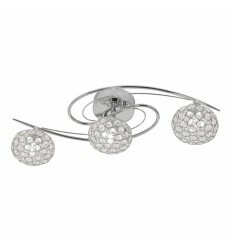 The Eva 6 light semi flush ceiling fitting features a circular design ceiling plate. 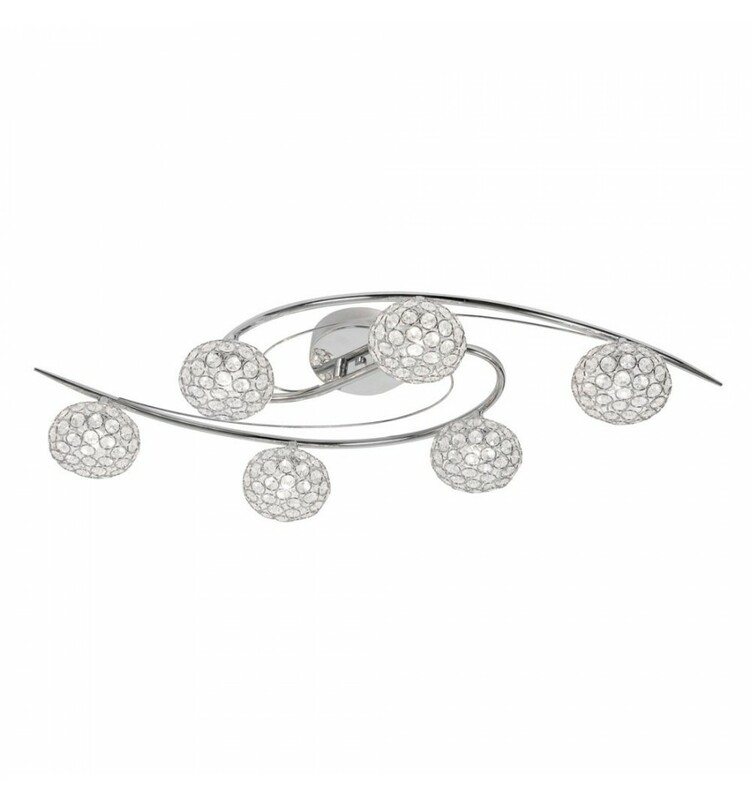 It has swirling arms holding 6 spheroid shaped shades made up of a polished chrome frame work and crystal buttons.